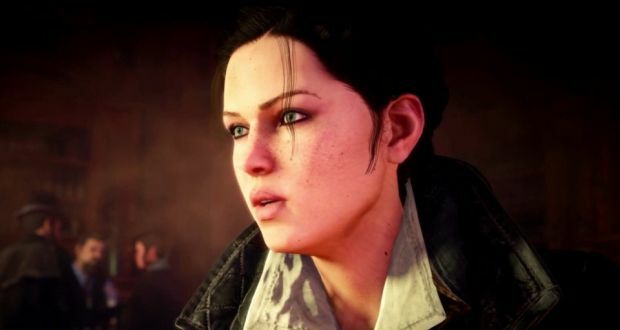 Assassin's Creed: Syndicate Female Lead "Not Lip Service"
After drawing criticism for its handling of playable female characters in last year’s Unity – characters that were reportedly “too difficult to animate” – Ubisoft has responded to those pigeonholing the addition of Evie Frye in Victorian-themed Assassin’s Creed: Syndicate, stating that it was an organic decision from the get-go, and not simply lip-service. In fact, according to Creative Director Marc-Alexis Cote, the team at Ubisoft Quebec began work on the siblings long before the kerfuffle surrounding Unity‘s female characters came to the fore. Speaking to GameSpot, Cote admitted that while “cynics will be cynics,” the notion of dual protagonists was at the core of the project since it began life two-and-a-half years ago. “[Evie and Jacob have] both been part of the experience from the very beginning. Cynics will be cynics, and it’s unfortunate, but we’ve been so focused on build this game the way we want with those two characters,” he continued. “It’s not done to pay lip-service, it’s done to build a great game. While there’s still an awful long way to go, there’s reason to be hopeful for the future of gender equality in video games; heck, female leads proved to be one of E3 2015’s more interesting subplots, with the likes of Horizon: Zero Dawn, ReCore and Mirror’s Edge: Catalyst. Moreover, adopting a similar approach to Assassin’s Creed: Syndicate, Bethesda’s Dishonored 2 will also include the dual protagonists template, offering players with the chance of controlling Emily Kaldwin when the sequel lands in 2016. Assassin’s Creed: Syndicate will let the Frye siblings loose on Victorian London when Ubisoft’s upcoming sequel arrives for PlayStation 4, Xbox One and PC on October 23.